Charleston, South Carolina- March 26, 2019- Love a world-famous Pusser’s Rum Painkiller but don’t want to go through the fuss of putting all the ingredients together? No worries, because Pusser’s has just introduced a newly, re-formulated Painkiller™ Mix with all the necessary ingredients. Just add Pusser’s rum and garnish with an orange slice, cherry and fresh-grated nutmeg, now close your eyes and you’re in the tropics! The new mix has just the right amount of the “secret” recipe; pineapple juice, orange juice and cream of coconut. 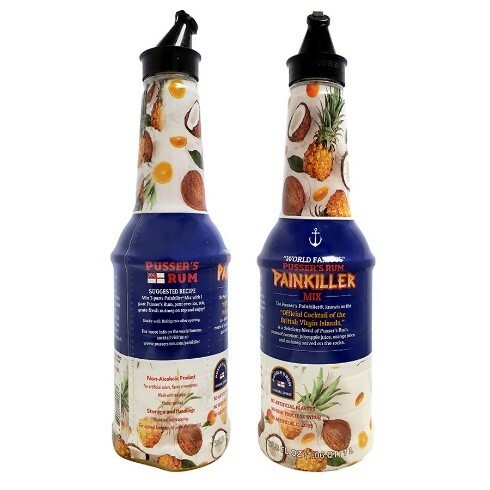 Just add one part Pusser’s Rum to three parts Painkiller™ mix. No fuss, no mess! Bevolution Group is a proprietary blend of industry leaders and pioneers that offers an unparalleled selection of beverages across several categories, including premium and classic cocktail mixes like Tropics® Mixology, Tiki Tropics® and Lemon-X®. The new Painkiller™ Mix is made from all natural juices and has no artificial flavors or colors and no high fructose syrup. A single serving has only 80 calories. 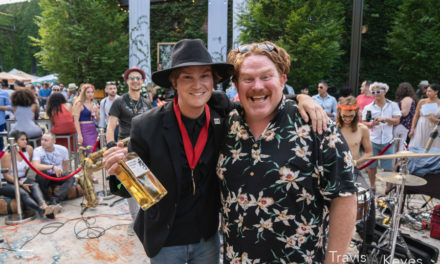 The iconic Pusser’s Painkiller™ is the official drink of the British Virgin Islands where Soggy Dollar Bartender, Daphne Henderson, and Pusser’s Rum founder, Charles Tobias, planted the seeds for its humble beginnings. 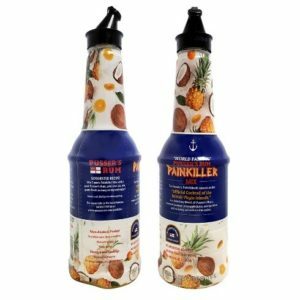 A favorite among bartenders and enthusiasts alike, the Painkiller™ cocktail has become legendary and traditionally becomes an establishment’s best-selling cocktail when added to its beverage menu. The mix comes in 1-liter bottles which are packed 12 liters per case. Pusser’s Rum is imported by Shaw Ross International Importers, LLC. EDITORS NOTE: Imagery and samples can be acquired through Peter Nasca at the above address. 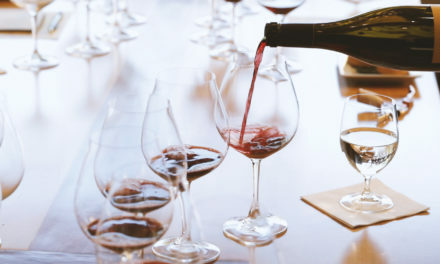 PreviousMy Favorite Mistake: Producers and suppliers share their stories.